Stray Sod will be at the Calgary Comic and Entertainment Expo from Thursday April 24th to Sunday April 27th! 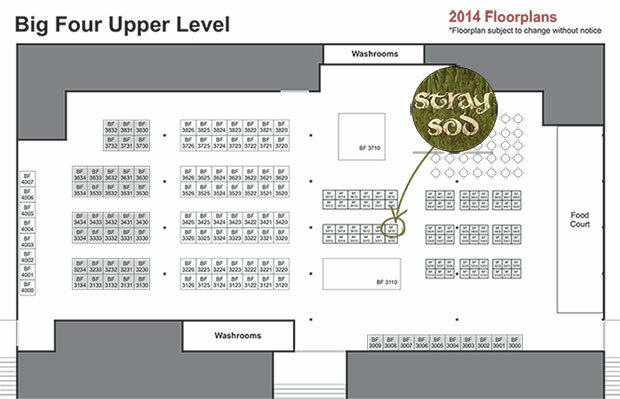 You will find me at the Figure 3 Illustrations booth (BF3410 – see map below) in the Big Four Building all four days! There will be all sorts of stuff for sale by different artists, and I will (if the US postal service obliges) have the first issue of Stray Sod available in print form. So drop by and say hi. I’d love to meet you.